Wind power is one of the most popular choices of clean and green energy. It has the benefit of not creating noxious emissions, and turbines can be easily installed and bought into operation, unlike creating a nuclear plant or drilling for oil. 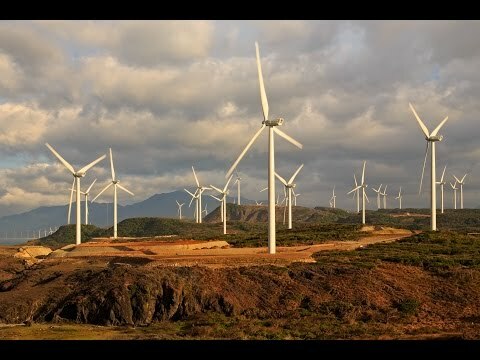 Below is a fantastic time-lapse video showing the construction of the largest wind farm in Southeast Asia. This completed project is in Ilocos Norte in Luzon, the Philippines. At only three minutes long its well worth watching. Local residents report a loud humming noise that would qualify as noise pollution. Many birds accidentally fly into the blades and are killed. If you’re an animal lover, it would be hard to support wind power in its current form. Many places in the world are not suitable for wind power because they’re simply not windy enough. Some people report wind farms as eyesores, so the NIMBY (not in my backyard) brigade is strong in this sector. Overall, wind power is a worthwhile part of the global energy mix. It’ll be suited more to some places than others, just like all the other alternatives. There are also likely to be ways to avoid bird deaths or reduce the noise factors. We must remember that technology can solve problems with existing energy choices, as well as help us harness new ones. Please post any comments, information or links to help inform future visitors about wind energy.